Love your kids? Following is an expensive Kids CyberNet Station AIO PC from Kid Computer that was designed with funny colors. Your little angel will love to see those colorful keyboard tuts and the 19-inch touchscreen display on their desk. 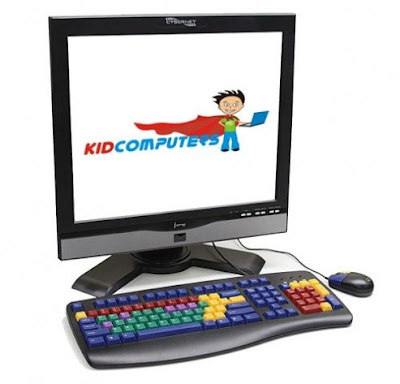 The Kids CyberNet Station comes with Intel Dual Core 5200 CPU, 4GB of RAM, Intel GMA 3100 3D graphics card, and for storage it offers 500GB capacity. The machine is aimed for kids in elementary and middle school level. I really doubt high school kids want to have this kind of AIO desktop pc in their study room.